There are simple questions for owners to ask themselves before considering calling a professional to work on their roof. One is if the roof is leaking. However, when choosing roofing contractors, they must consider tougher questions since that area should be taken seriously. Before calling professionals to work on any roof, owners must do extensive research about everything that they can think of about roofing. 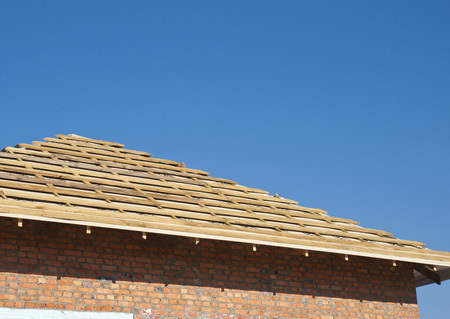 Then, they should ask the following questions which highly rated roofing professionals recommend as a guide to the best roofing contractors. Where Is The Location or Premises? Expert opinion suggests that consumers should avoid any company that lacks a place where one has a guarantee of finding them in case of a problem. Having an office shows professionalism. It is also easier for people to trust roofers who proudly display their contact information. Customers should try as much as possible to hire contractors who have their local offices nearby. Contractors who are located far away may not respond quickly when consumers contact them. Moreover, they are likely to offer lower quality services since they know that clients with complaints may not reach them easily. It is recommended to hire contractors who are licensed, insured, and bonded. As a consumer, ask for copies of license and insurance certificates to ascertain their authenticity. For instance, they should differentiate business licenses from practicing licenses. Licensure assures consumers of professionalism, knowledge scope, expertise, and competence of contractors. Insurance covers clients from any injuries to workers or damages that may happen on their property. A bond ensures the safety of consumers’ financial investments. Not all states have the requirement of licensure for contractors, and so consumers should check for details from their local licensing authorities. However, checking whether companies or contractors lacking licenses belong to national roofing organizations is important for security purposes. Without a warranty, customers are left in the cold in case their roofs go bad. Companies or contractors that offer at least ten years of warranty for both workmanship and manufacturer’s materials are dependable. Asking contractors about their warranty and reading their contract keenly is, therefore, recommended. A verbal agreement is never enough no matter how reliable a roofing contractor may seem. Every promise and requirement should be in written form. The contractor’s proposal should also be detailed and specific, including the start and completion dates of the project. Some companies today offer automated estimates where consumers do not have to meet with salespersons. It sounds convenient, time-saving, and less costly, but a conventional in-home estimate is safer. The latter allows customers to receive personalized services and customized quotes according to their needs. Contractors with longer years (at least 3) of experience have a higher probability of handling almost any roofing challenge. They also understand the area they practice in better than upcoming ones. However, new businesses with good references may not be a bad choice. This guide is only a skeleton of some few questions that consumers should ask their contractors. Coming up with more detailed and specific questions is important. Overall, any contractor who fails to answer key questions is questionable and hiring them is risky. In this short guide to the best Cincinnati roofing contractors, you will be informed of the top common questions and answers about installing heated gutters or any other roofing needs to help you through the process. Contact the helpful staff for any other queries you have in mind.